Ledgewood has a beautiful park area that provides a basketball court, tennis courts, a picnic area, and a playground for the kids. 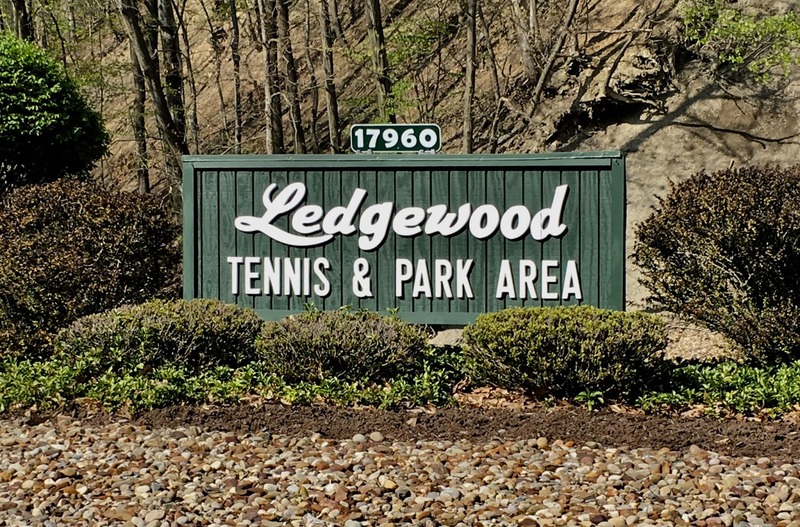 The gates to the tennis courts and playground areas will be locked yearly beginning in December and reopened during daylight hours in the spring. Residents can still use the area by walking around the gate. Note that the recreation area is for residents and their guests only. The playground/tennis court area gate is locked from 8:00 p.m. until 8:00 a.m. daily. Cars will not be permitted in the lot during this time although residents and their guests will be able to walk back to all facilities. A Kid-friendly playground for the under 10 set. Above areas are on a "first come, first served" basis. No reservation is needed.